Their marriage was happy but they wanted more kids, and after years of struggle Emma’s mother finally got pregnant, but when she was starting her second trimester, she had stroke and was declared brain dead. The fetus, however, was still alive, so Dan decided to keep her mother in a respirator until the baby was big enough to survive on its own. This did not sit well with a shocked and grief-stricken Emma, who could do nothing but direct all her anger and frustration towards her stepfather, withdrawing from anything that didn’t involve the situation with her mother, and even alienating her best friend in the process. And then she met a boy with a bad reputation and some things got easier while others got more complicated. Reading this book was a weird experience. The story is engrossing and I pretty much read it all at once, but when I finished it I felt manipulated. Emma’s pain, grief and anger are in full display all the time, which is fine considering the circumstances, but she also finds solace and relief in a love interest whose story is so tragic and over the top that it pulled me out of the story. 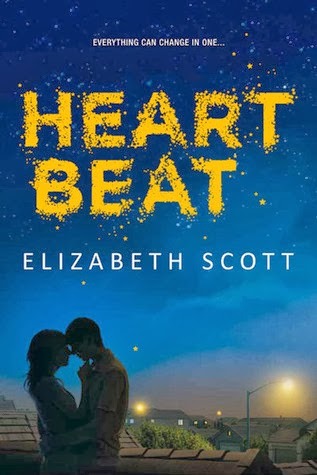 After finishing the book, I was delighted by the honest portrayal of the main character, but slightly repulsed by what I thought was a blatant emotional manipulation that didn’t have place in a story that was already quite emotional. And this wasn't my only issue. As I said before, I had a lot of time to think about this book, and one of the things that struck me as curious was the portrayal of the two sides of the debate surrounding end-of-life decisions. Emma, who sees her mother as just that and not as someone else’s wife or mother, wants to take her off life support. Dan wants to keep his wife on life support until the baby can be delivered. Emma is the irrational, angry teenager who manages to fool herself into thinking that her mother didn’t want the baby to begin with, even though we all know better because the text makes it clear despite being entirely told from Emma’s point of view. Dan is the grieving husband and father who patiently and lovingly deals with Emma, while stoically holding in his grief. And ultimately, Emma realizes that her mother desperately wanted the baby, a realization in which she finds peace and comfort. Now, my take on the debate is that it’s a personal decision and that it depends on each individual, but that the choices should always be there for them to make so that things like this never happen again. Yet what happens when the person didn’t make her wishes clear and her two closest family members are at odds? A teenager is too young to make such decision, of course, and the complexities of the situation are explored and portrayed in the book. Not only that, but the resolution felt right and made sense because as much as Emma was an unreliable narrator, there were enough clues in the book to make her mother’s wishes clear. But I kept seeing Emma’s behavior and irrationality as a symbolical representation of the pro-choice side of the debate, and because I was always on her side and never on Dan's the whole situation bothered me. Despite what it might seem, I liked the book a lot, and as I said before, I found Emma to be a compelling and great heroine. I also enjoyed her relationship with Dan and how they both had to negotiate and navigate around their pain and frustration. She is pretty powerless when it comes to her mother’s situation, but she holds more power in her relationship with her stepfather (in part because he is so patient and loving and stoic), and part of her journey is deciding what to do with that power. Even better, this is a YA book and the story belongs to Emma, yet we get a pretty clear picture of Dan as a person and as a character whose role has great impact on the heroine. So there you have it. The book isn't without problems, but it sure gave me a lot to think about. I doubt I’ll ever read it again, since it wasn't an easy read, but I’m glad I did.